Sometimes, we can find some really cool stuff in the Museum’s basement. Our basement serves as one of the exhibit workshops, so many of the materials were at one point used for prototyping or repairing exhibits. For example, this acrylic dome. 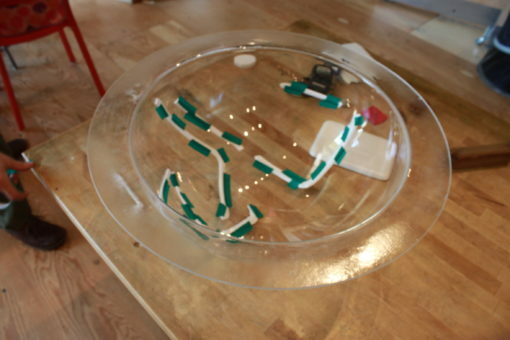 It was originally used as a prototype for our newly renovated Waterplay exhibit. Now, it is being used to develop a new magnet activity in MAKESHOP. You can’t move too fast or the ball will simply fall to the floor. Since this is such an interesting structure, the dome has really inspired us to make something new for visitors to explore. 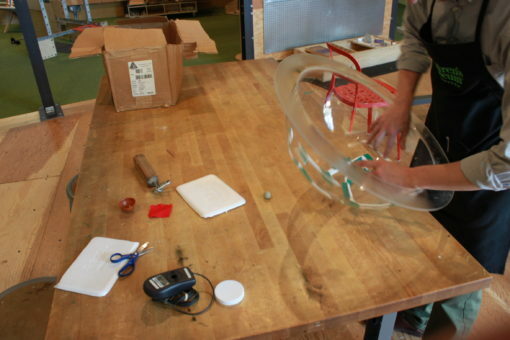 Our idea is to let visitors explore magnetism by moving a metal ball or two around the inside of a dome. It takes some precision and patience to really move the ball around. 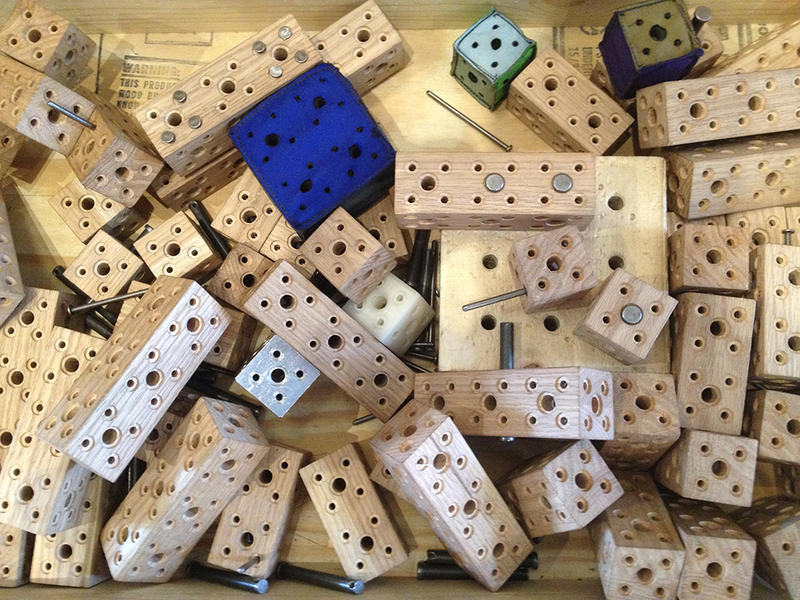 As usual, the prototyping process is alive and well in MAKESHOP. When we want new activities or exhibits, we typically build them ourselves. We also share them with our visitors. This magnet project already has some shared consultation between us and our visitors. Katie, a repeat visitor to the Museum, helped us brainstorm some ideas for this new magnet project. We always encourage visitors to help us create things whether it is a simple magnet activity or an entire exhibit like Waterplay. Every opinion is always valued.